The Honda Civic has been one of the most popular cars on the road because of its affordable price tag, constant reliability, and the ease in which car enthusiasts can mod their own Civic. 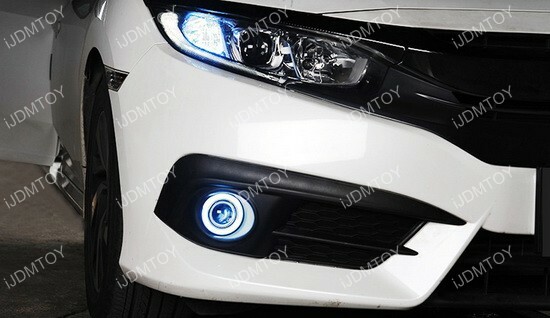 This is a set of projector fog lamps with LED halo rings that will definitely make your Civic look absolutely classy. 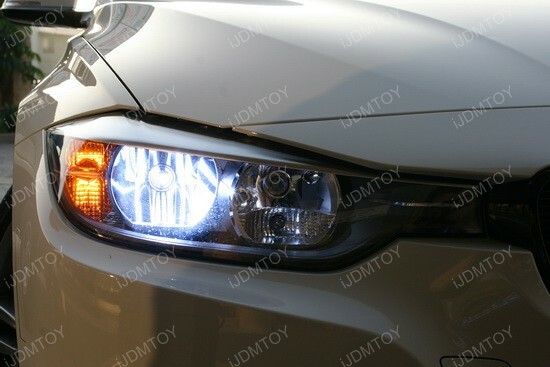 These Honda Civic LED halo ring fog lights is great for the driver who loves the fluidity of halo rings combined with the affordability of aftermarket lights. This quick and easy guide will demonstrate how to install the Volkswagen MK6 GTi LED Daytime Running Lights. All you really need is your pry tool and you are all set for this installation. You will be able to show off your new LED lamps in absolutely no time at all! We had a customer ask how to install this so we created this installation guide. 1. 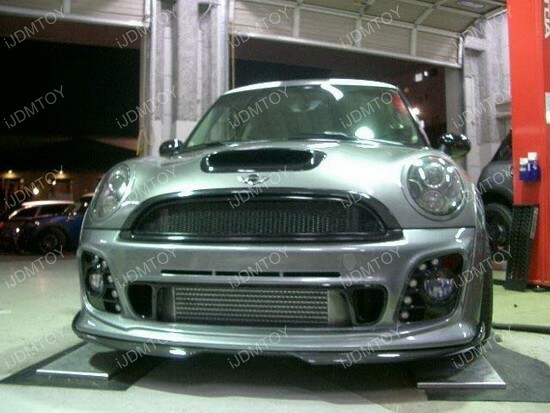 Before, we had a customer install this product by removing his front bumper. Even though you can do it this way, we discovered that if you have a pry tool you can pop out the stock bezel without having to remove the bumper. Use a plastic pry tool to pop out the stock fog light bezel covers. Don’t use a screwdriver because you may unintentionally scratch it. The freestyle LED light bulbs are 10 pieces eagle eye LED lights where you can arrange them to any shape or design. The lights can be shaped in various ways and is perfect for anyone who loves DIY projects. 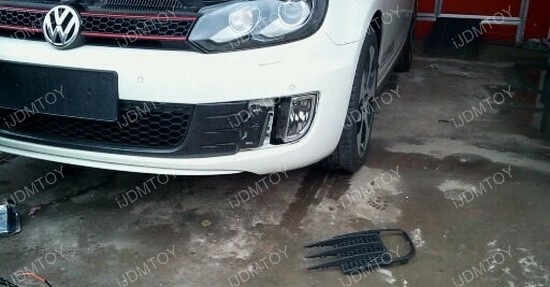 Just use the drill bit tool that’s included to mount the LED lights on the bumper or plastic grille. Our HID Conversion Kit is a great way to convert stock and halogen headlights to HID generally only available for luxury cars.This HID Conversion Kit also emits more light, but consumes less power at the same time. The HID ballasts are extra slim and include an embedded electronic chipset that maintains the electrical current so that the input to the HID bulb is stable. This makes sure that the HID bulb has an increased lifespan of 30%. The kit converts boring stock incandescent lights into something you see on luxury vehicles! In other words, if you have a car with basic trim, this HID kit is perfect for getting that premium package look without the price. 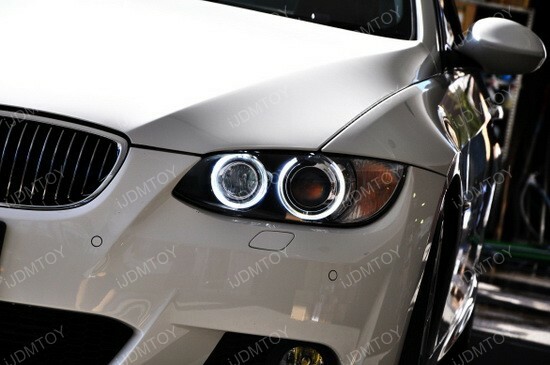 Our customer installed these world’s first super super high power 80W BMW LED Angel Eyes on his BMW 335i Coupe and the new LED lights really enhance his ride. You can see that the LED halos are crisp and bright, almost as if they are able to pierce the air.